Last year, in September, I was all set to see Marduk. They had a great bill of bands with them and I hadn't seen the band in many years so I was stoked. Then the news broke that they didn't make the first few dates of the tour due to visa delays. Eventually they lowered the boom and said they were canceling their participation in the tour due to the aforementioned visa delays. The rest of the tour continued on as they had already been doing. Well, the visa delays were resolved and a new set of dates (and bill) was announced in December. 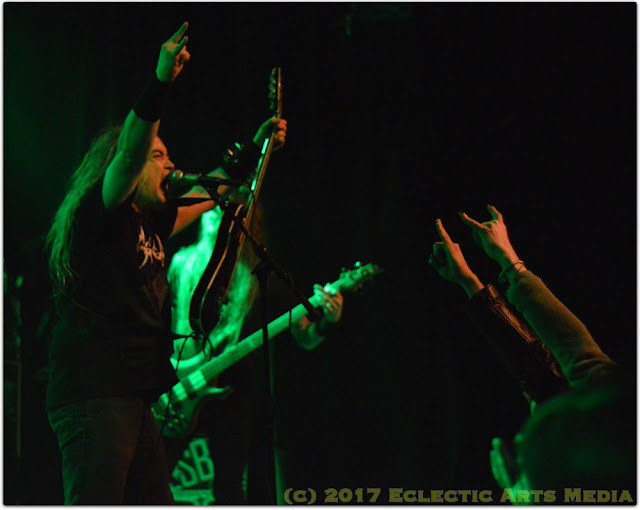 This past Monday night Marduk returned to lay waste to Seattle! The long time Swedish black metal outfit, promoting their latest release, "Frontschwein", were bringing long time death metal ragers Incantation with them along with Svart Crown (who ended their participation before the Seattle gig to get back to France). 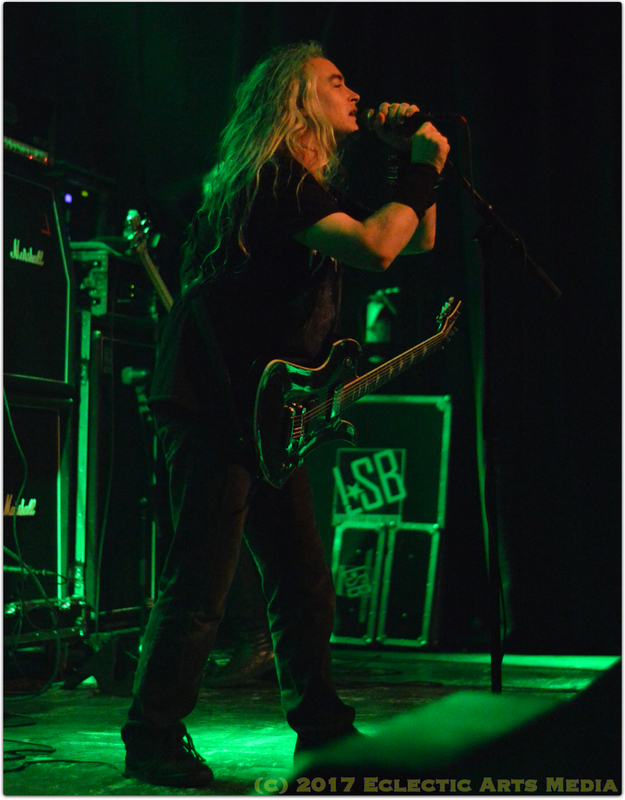 Due to Svart Crown's absence, three local bands were added to the bill (instead of two). A line of black metal fans lined up outside the venue at 6:30pm - with the doors opening at 7pm. 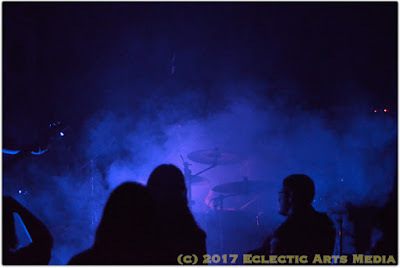 The first local band, Xoth, played a well-executed 30-minute set. 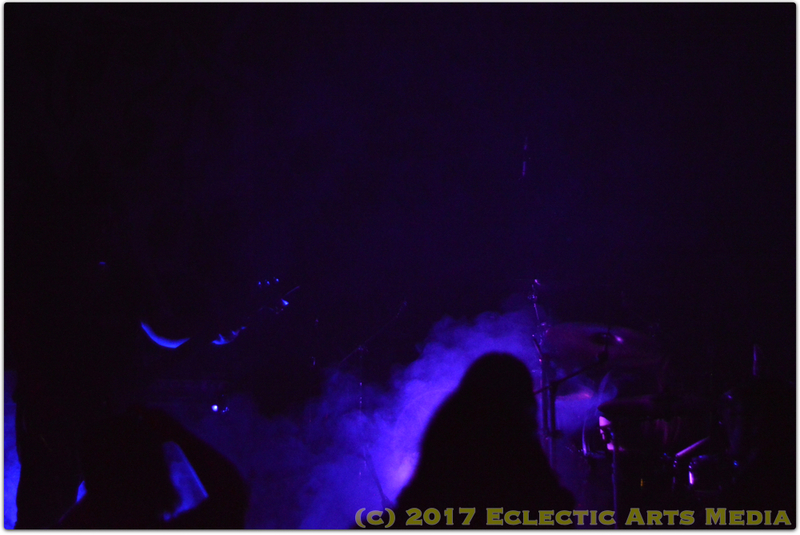 Xoth were followed by the doom metal trio of Dilapidation with A Flourishing Scourge rounding out the trio of local acts. 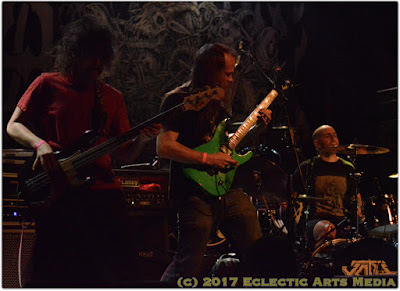 Three different styles of metal from all three locals, the audience gave them a decent response after each set. 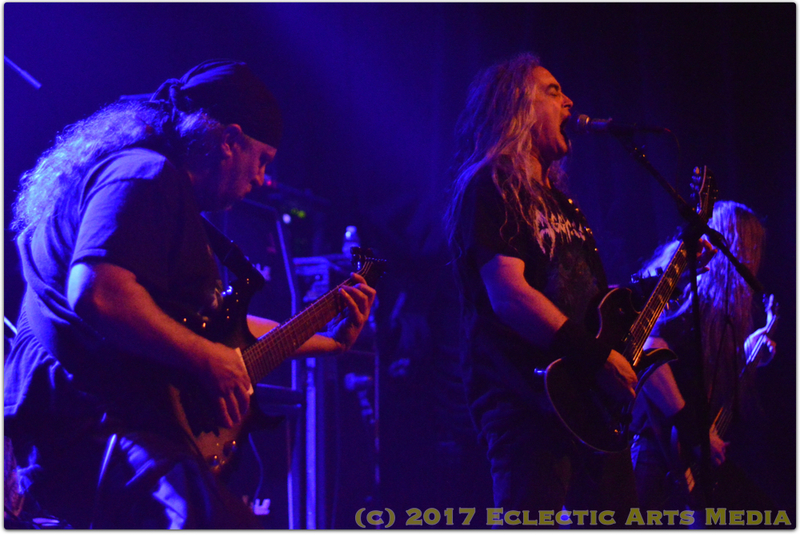 Things went up several notches when Incantation took the stage. Playing a 45/50-minute set, John McEntee and crew ripped through their vast catalog of death metal. I saw the band many years ago with Cannibal Corpse I believe. They were great then and they're great now. The pit broke open during their set (what it could as the audience was smaller than I anticipated for this gig). 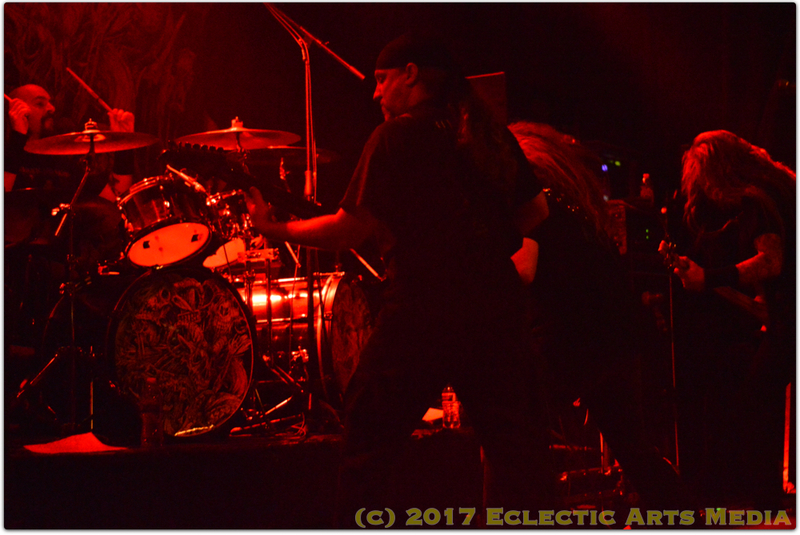 Playing their brand of no frills, old school death metal, Incantation were the perfect special guest to raise the energy for the headliners. I saw Marduk back in 2001 when they toured the US with Deicide. They were good back then, a bit sloppy, but it worked for their brand of punishing black metal. Monday night this 2017 version of Marduk was professional, intense, and commanded the stage. 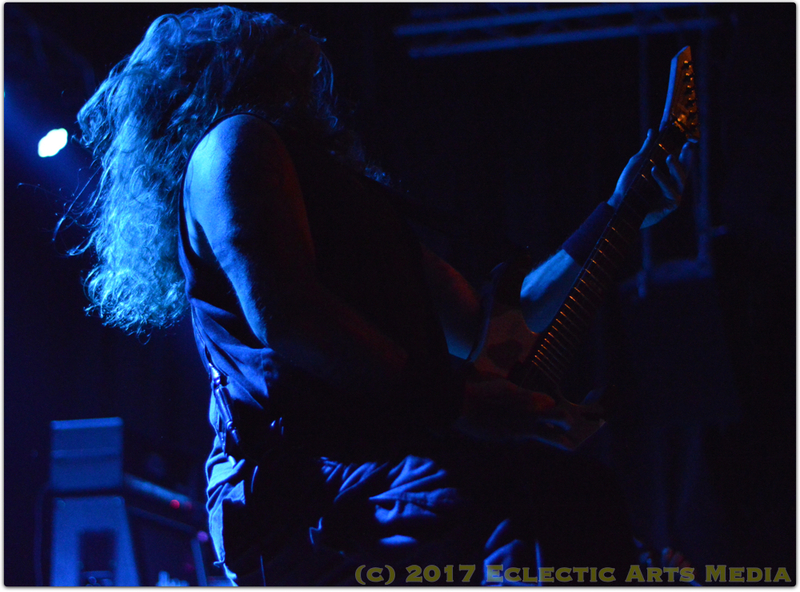 Starting off with the title track, Marduk was imposing as they ripped through their set of Swedish black metal. Morgan, Mortuus, Devo, and Widigs made a blasphemous statement with their music. 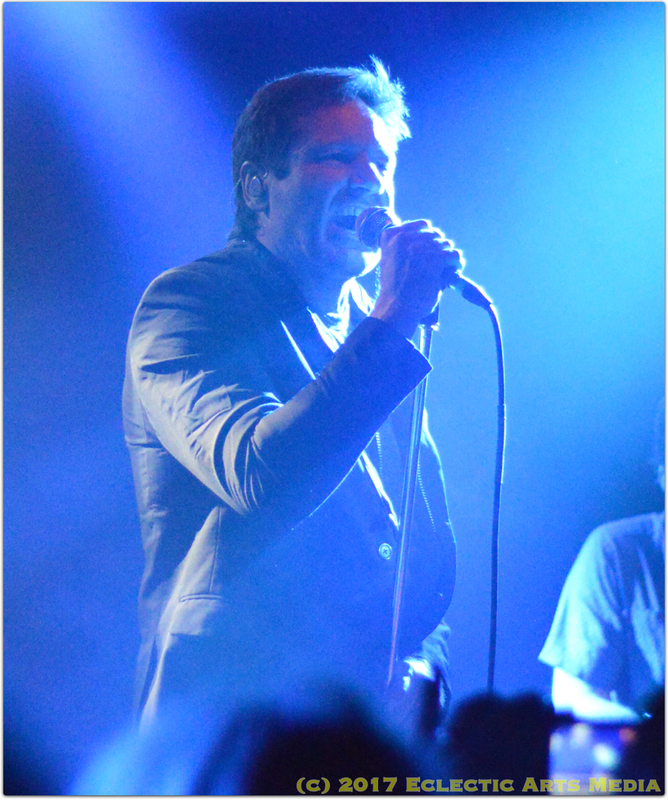 Pulling tunes from several of their albums, lyrically the band has always written about historical concepts (including organized religion), sometimes to misconstrued controversial effect. The four piece were like a fist to the face, showing there's a reason they've survived and thrived for such a long time in the black metal realm. 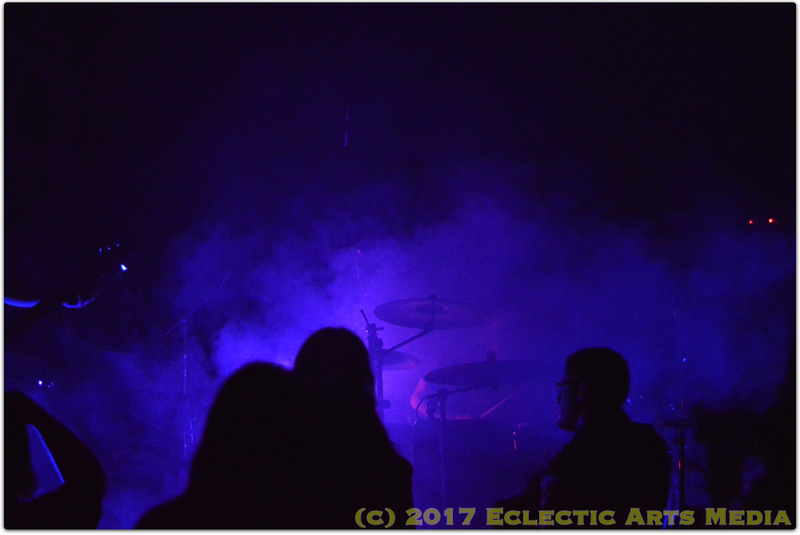 After the last strains of music left the stage, it was great to see that some black metal bands are not "too human" to perform their art the way it was intended. 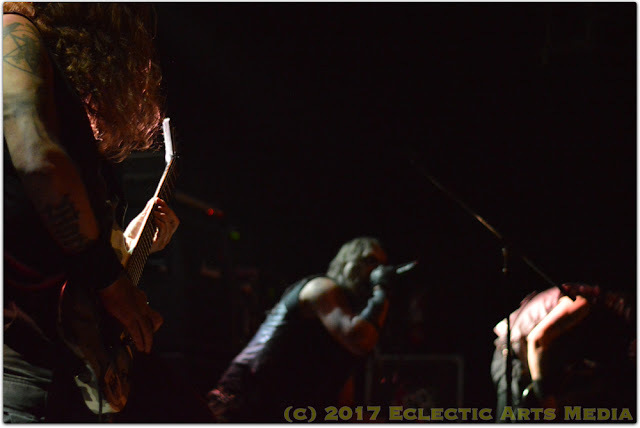 Marduk destroyed Studio Seven Monday night and the fans expected nothing less. Special Thanks: David for the credentials. Thank you so much! 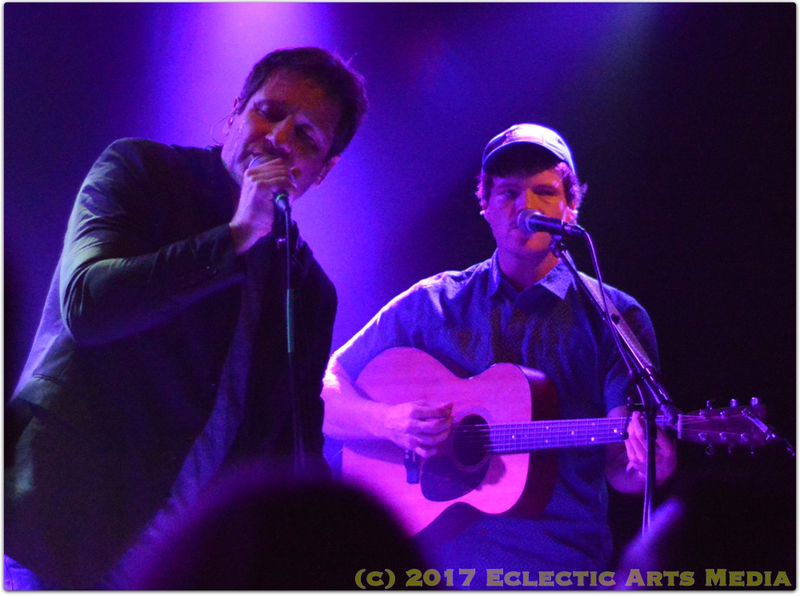 Sunday evening brought a sold out show to the Crocodile Café. Who you may ask? 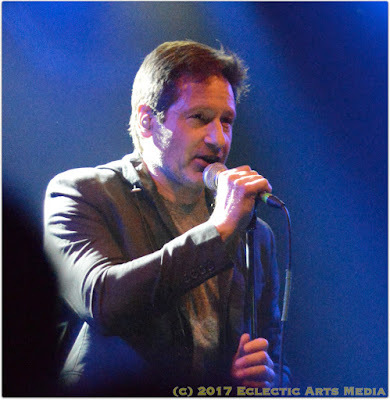 Why David Duchovny! Yes, the actor recorded an album and has another coming out this spring. David was doing a short music tour to promote one of the many loves in his life; music. These shows are always interesting as everyone knows that the cache' an actors name carries will always bring fans to a music gig. For me, I always choose to review the show as a concert, "forgetting" what the artist is better known for (in this case acting). The show started off with a 30 minute set from a good friend of David's - Keaton Simons. 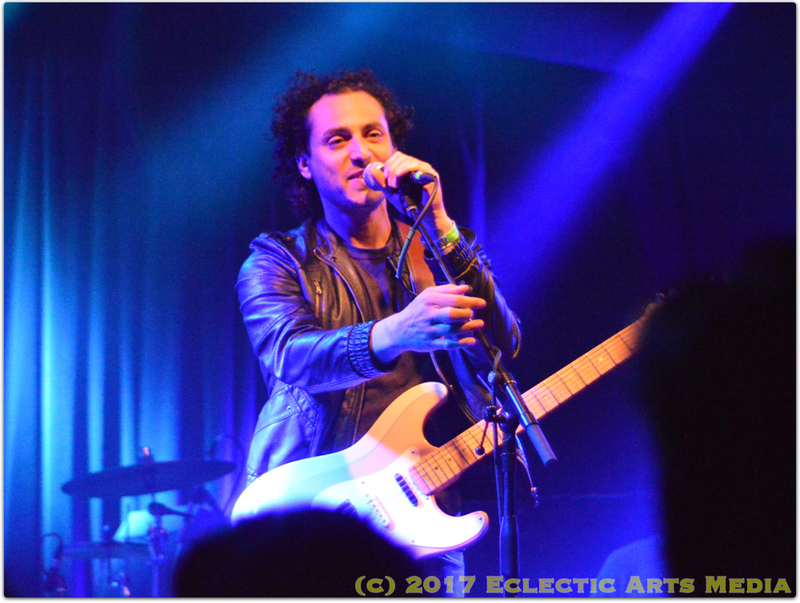 Keaton played an opening set of melodic rock with a variety of influences - blues and hip hop to name two. His set went over well with the crowd with a round of applause once he was finished. After a brief changeover, David Duchovny took the stage. Backed by a five piece band, David launched into, "3000", to get the night started. It was certainly clear by the ladies around me in the audience that they were fixated on David. Not necessarily for his music but for DAVID. There were many side conversations about his acting work, his looks, and a variety of other non-music topics. His band was tight and sounded like a group of great session musicians. David sang his heart out, talked in-between the songs (usually about the origins of the next song), and made a self-deprecating remark or two. If you haven't heard David's music before, it's a mix of rock, a little country, a little folk, and reflects a bit of old school artists like Bob Dylan, Tom Petty, and even Leonard Cohen. 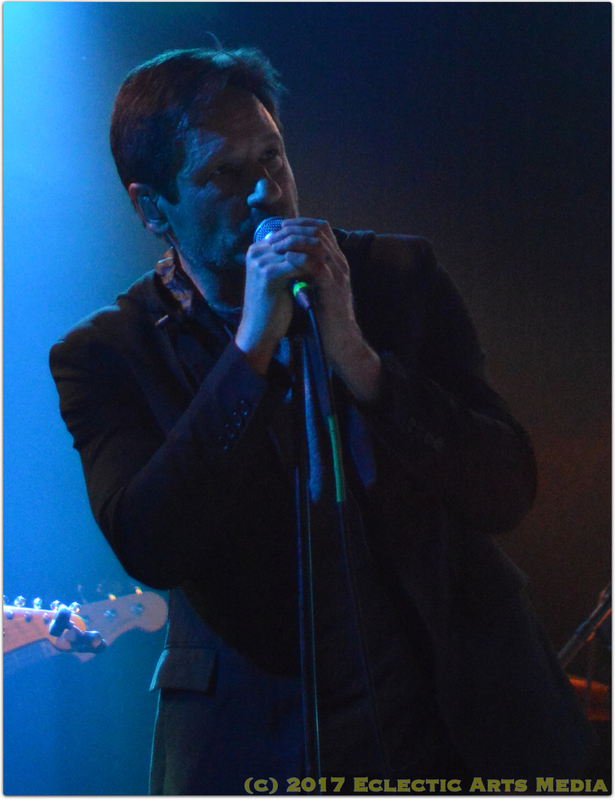 He included a couple of cover tunes in his set - ending with, "Sweet Jane" by the Cowboy Junkies. The crowd ate up everything the band could muster up for the evening, especially when they donned the "pink p**** hats" made famous by the Women's March of this year. The sold out crowd had one heck of a time on Sunday night. The truth was at the Crocodile Café' (you knew I had to say it somewhere). Special Thanks: Kerry for the credentials. Thank you so much! Sunday arrived and I found myself back at The Sunset in Ballard (having just been there Friday night). 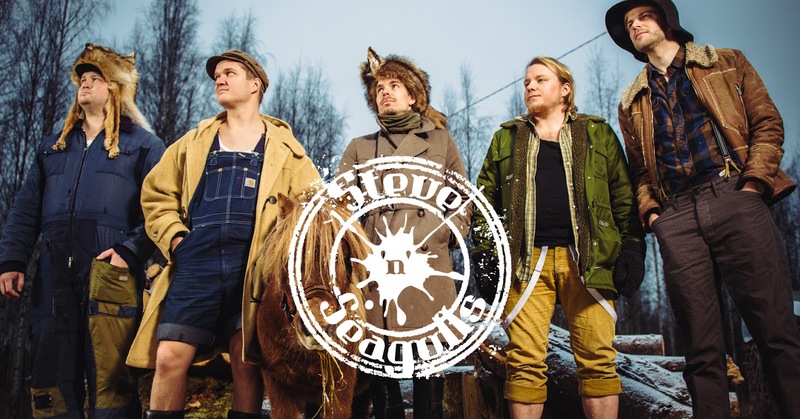 Finnish bluegrass band Steve 'n' Seagulls, who rose to fame through a series of videos that went viral covering rock/hard rock/metal tunes from the 80's/90's, were headlining a sold out "early" show at 7:30pm at the Sunset. Due to demand, they added a late show at 9:30pm a few weeks back as well. If you grew up or even if you just know the tunes they like to cover, you can't help but smile and have a good time. I believe the first video I ever saw/heard was their bluegrass cover of Iron Maiden's, "The Trooper". When I first watched it, I didn't know where the band was from. Based on how they were dressed and the bluegrass music they were playing, I wrongly assumed they were from the US. A quick search online found that they were from Finland. 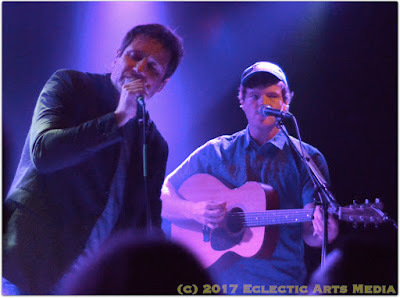 The Seattle show was the first sold out show of the tour which made the band happy. Leevi (bass and backing vox) was surprised of the sell out, especially for a Sunday night. The band took the stage at 7:30pm - dressed like they are in all of their videos. Overalls, undershirts, shorts, etc. - Finnish farmer look is the best way to describe their appearance. A Steve 'n' Seagulls show is pure fun! If you're a stick in the mud or a curmudgeon, you have no place at SnS gig. Starting with a cover of Offspring's, "Self Esteem", the band sounded fantastic! The energy from the crowd was already amped up from the first song. Playing such songs as, "Paradise City", "Over The Hills and Far Away" (a personal favorite for me since I'm a huge Gary Moore fan), "The Trooper", "You Could Be Mine", "The Pretender", "Thunderstruck", "It’s A Long Way To The Top", "You Shook Me All Night Long", "November Rain", "Burn", "Sad But True", "Black Dog", and ending the main set with "Seek and Destroy", the band was having fun all during the set and so were the fans. Cans of Rainier Beer was the drink of choice for the set. The band returned to the stage to encore with, "Born To Be Wild". Playing just under a 90 minute set, Steve 'n' Seagulls delivered what I expected - a night of good tunes and good times! If they come to your town, definitely go check them out. You'll leave feeling great! Recommended! Special Thanks: Jon F. for the credentials. Two for two this weekend! 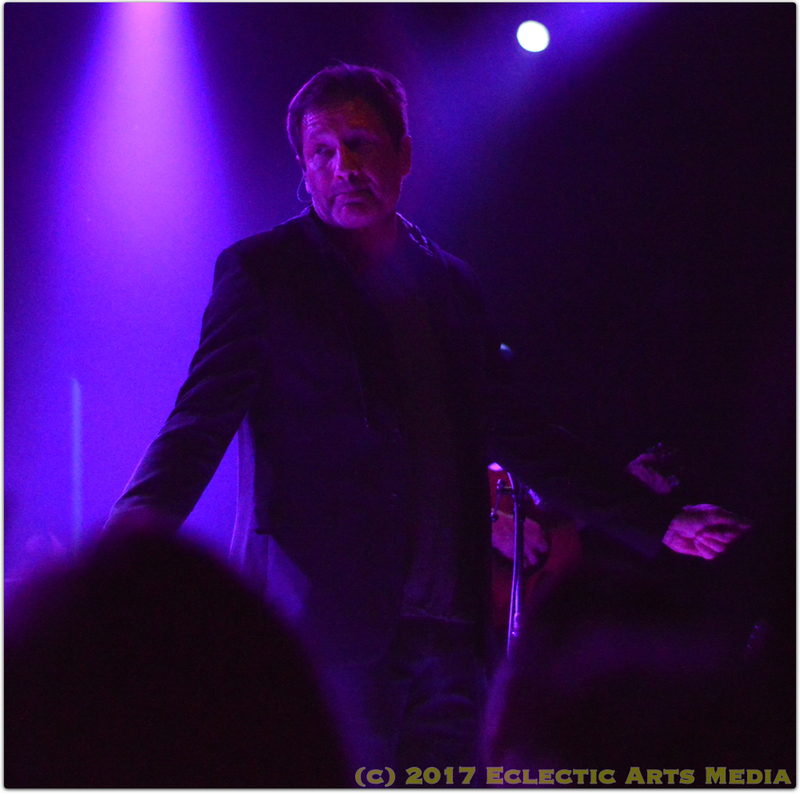 Saturday was night two of three sold out shows I was covering for Eclectic Arts. 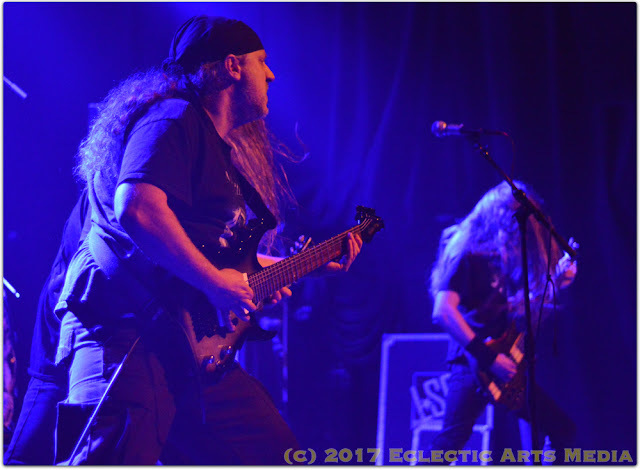 From the dark pop of MUNA on Friday to the 80's band Enuff Z'Nuff on Saturday and Finnish bluegrass band Steve 'n' Seagulls on Sunday, the concert coverage was definitely living up to the Eclectic Arts moniker! Chip Z'Nuff, bassist/vocalist, the only remaining original member from the band, took the stage at the Neptune at 8pm. The sold out show was the last stop on the current run of gigs opening for Ace Frehley of KISS fame. "Baby Loves You" started the set. In the pocket from the get go, the band entertained the sold out crowd for a good 45 minutes. Chip dressed just like he did in the 80's - a mix of Bowie, glitter, glam, and rock star, he led the band through tunes such as, "Kiss The Clown", "In The Groove", and, "Heaven or Hell". Guitarists Tory and Tony played like seasoned session musicians while Daniel Hill provide the backbone via the drums, the band sounded tight and well rehearsed. 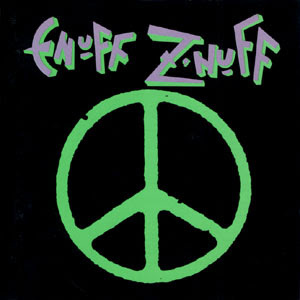 Saving the one two punch of 80's MTV hits, "Fly High Michelle" and "New Thing", Enuff Z'Nuff did a fine job raising the energy level in the Neptune on Saturday night. Thanking the fans and Ace Frehley, and announcing they'd be at the merch booth, the band exited the stage to much applause. Special Thanks: Jon F. for the credentials. Everything went smoothly! The greater Seattle area experienced a wide flux in the weather last week. From snow and ice on Monday and Tuesday to flood-like rain and wind Wednesday and Thursday, by Friday evening things were back to "normal" for a typical February here in Seattle. 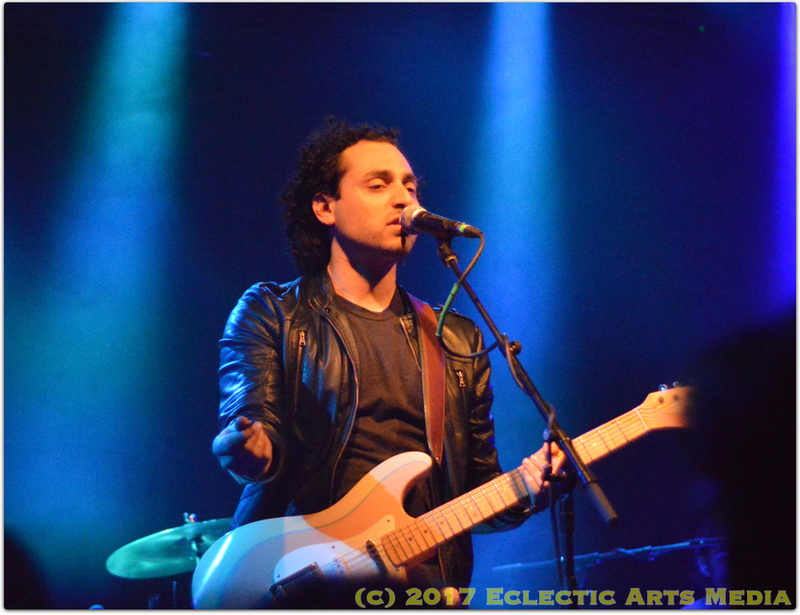 The Sunset Tavern hosted the synth-pop group MUNA on Friday night with Lo Moon opening the show. The show had been sold out for a few weeks prior to the gig which meant the back room of the Sunset was going to be packed. Katie Gavin, Josette Maskin, and Naomi McPherson had just released their album earlier this month, "About U", and were on the road in support of it. Lo Moon started things off at 9pm with their brand of dream pop tunes. Atmospheric and catchy, the band was a complimentary match for the tour. 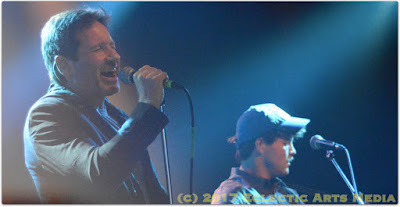 I found their songs very well crafted and rich with choice musical tones. This made Lo Moon a pleasure to listen to. They received a warm response from the sold out crowd. 10pm brought MUNA to the stage. The trio backed with a live rhythm section launched straight into, "I Know A Place". 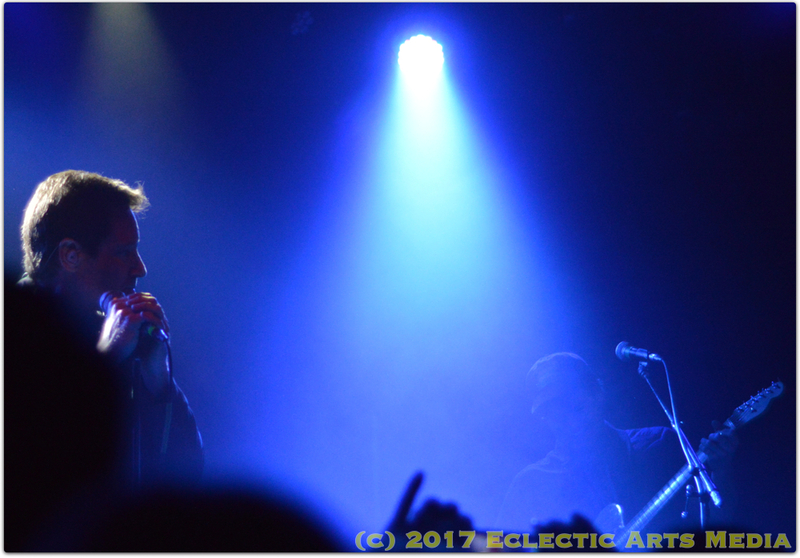 The fans, which were a wide mix of queer, straight, and other, exploded as the band blasted their brand of dark pop to the crowd. Katie dressed in a leather biker jacket, flanked by Josette and Naomi on each side of the stage, sang her heart out. 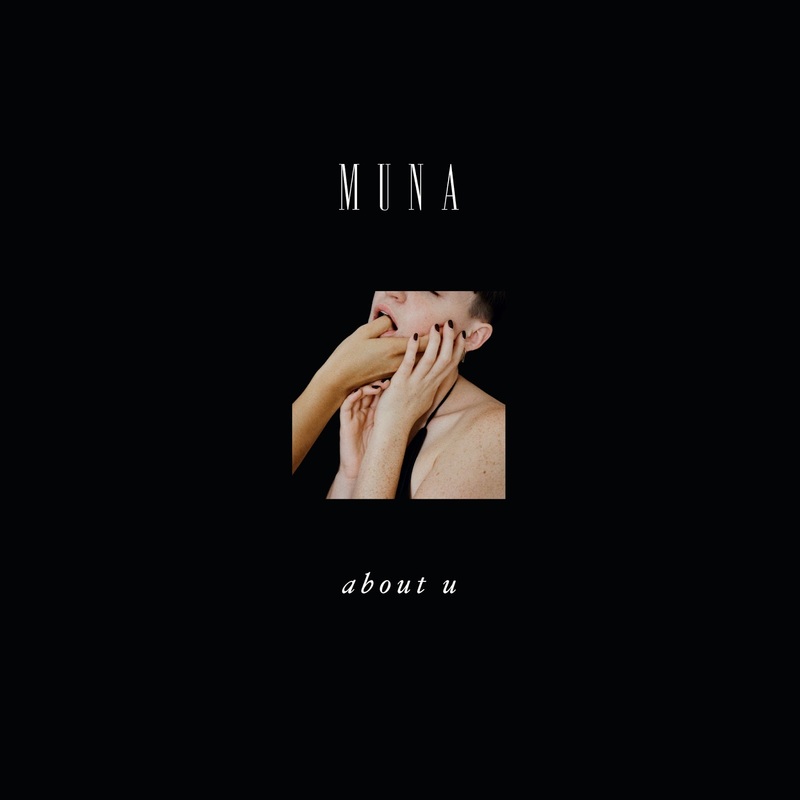 Such poignant lyrics about relationships gone wrong, abusive relationships, shaming, coming out/identifying as queer, and other deep subjects really brought MUNA's music to another level - well beyond simple pop. MUNA's music is anything but. The band was high energy, fun, skilled, and very professional. The crowd was eating it up and rightfully so. If you were there you couldn't help but get caught up in the music and atmosphere inside the Sunset. MUNA played all the songs off the new album, including a new song as well (see photo of the set list I grabbed at the end of the show). 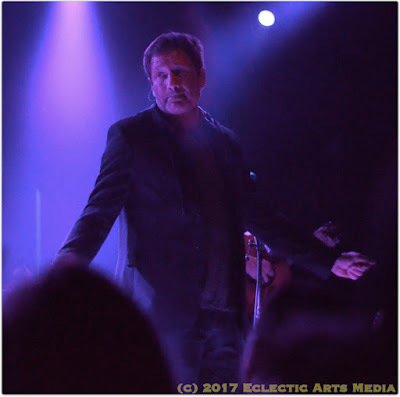 I stayed for a bit after the show but had to hit the road as I had an early day the next morning. Otherwise, I would of loved to have talked to the band a bit after the set. Also, kudos to RCA for releasing the album on CD, album, and cassette tape. I picked up the CD and cassette. Digital and analog - good times! MUNA are such a breath of fresh air in the music scene. I would love nothing more than to see them consistently tour, raise their profile, and conquer each level before them. They have the talent and live presence to, not only reach the top, but also perhaps more importantly reach the top on their own terms. If they come to your town on this current tour, do yourself a favor and go to the show. You'll have a hell of a good time! Special Thanks: Michelle @ RCA for the credentials. Thank you for being so professional with your correspondence and how you go about your business.